12-year-old Claudia’s best friend, Duffy, is an 8-year-old boy, and together the two get into mischief of all kinds. Her parents think she should be making friends with girls her own age, but Duffy is the only one who really understands and accepts Claudia. When the mean girls at school begin to make trouble for Claudia, it seems even more impossible to make other friends. 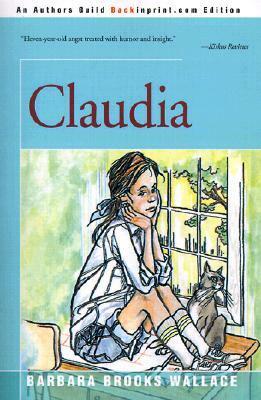 Claudia finds the strength and imagination to stand up to bullies, navigate the treacherous waters of neighborhood kid politics, and find a new appreciation for her boring normal family. I loved this book! Poor Claudia is so awkward, but her heart is pure and strong. Duffy is adorable as a sidekick for all Claudia’s adventures, and I loved all the supporting characters in Claudia’s family. I hated the villainous mean girls, and cheered for the good guys in every scene! Great writing, and a wonderful plot!